We call our land Ponimaa. It’s the home for many ponies. We want them to feel good in their home, be healthy, trust and love humans. 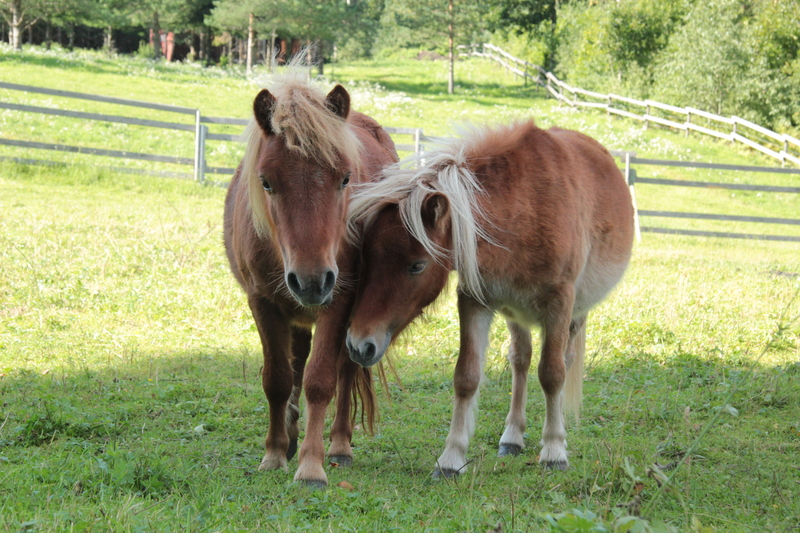 Mostly we breed Estonian horses. Now when our first foals have grown up, we can say many of them are the ones we wished for. We can see that through the eyes of children coming here and also from acknowledgements from Estonian Society of Horsebreeders. Very good base of broodmares. We dont’s sell foals, they grow up beside their mothers in a large flock for at least 6 months. Colts are then moved to the flock of stallions. Horses live outside all-year-long. They are healthy and hardened. They eat as much as they want and they have a roof over their heads. We live in Southern-Estonian uplands. Our land is hilly and stony. The exercise for legs is well known to horses and us. We think best horses grow without violence – only with love. Browse our horses on the right side of the website. Welcome!